Tripura BJP LS candidate threatening police officer caught on camera! 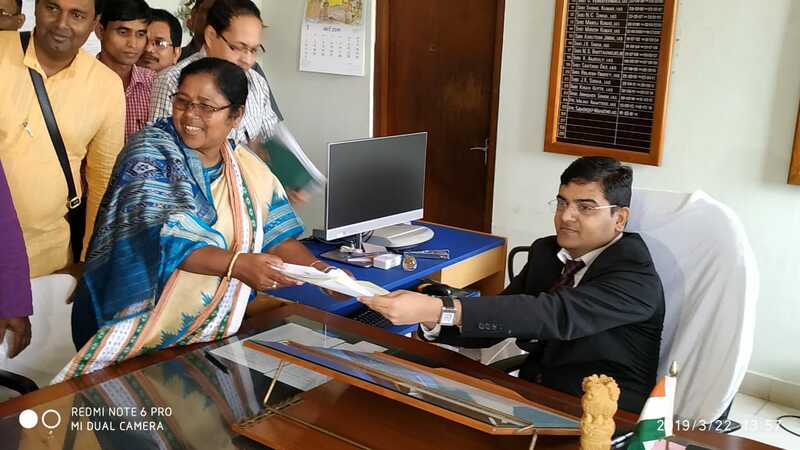 File image of BJP candidate Pratima Bhowmik filing her nomination papers. A shocking video released by Tripura Infoway revealed how the BJP parliamentary constituency threatened a senior police officer with dire consequences when the police tried to prevent violence and rigging by BJP hooligans. Allegations of widespread crimes including murders are against the BJP leader who is contesting the Lok Sabha elections this time. The report further alleged that the after Biplab Deb assumed office of the chief minister, Bhowmik’s massive drug smuggling empire has grown manifold within this one year.